Evan Goldstein is one of America’s foremost sommeliers. 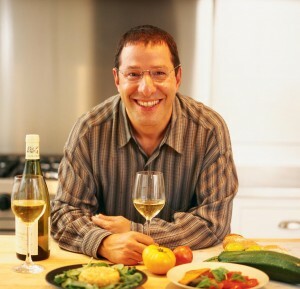 He is also one of the most prolific food and wine veterans around the world. Since 1990 Evan has created education programs, wine training and service hospitality schools with Seagram Chateau & Estates Wines Company, Diageo, Allied Domecq, and most recently, as the Vice President of Global Wine & Brand Education at Beam Wine Estates. In addition, Evan continues to train and examine candidates for the Court of Master Sommeliers as a Founding Board member. 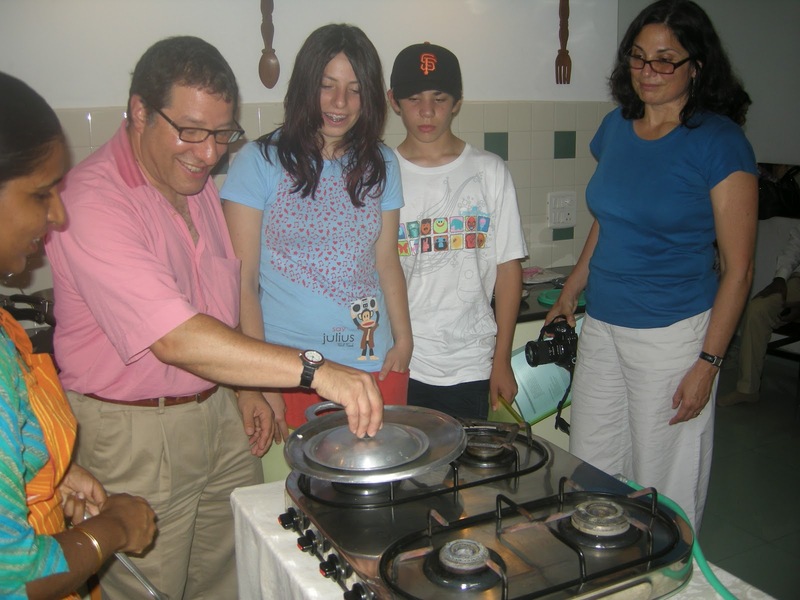 So you can imagine the delight at the Pepper Trails home when we had a chance to host Mr. Goldstein and his family in August 2009. 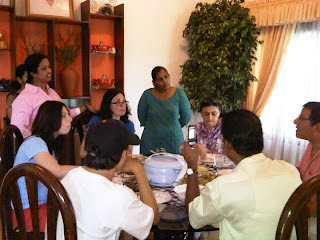 Evan tried his hand at making Appam and even suggested a few daring combos of Indian food and gourmet wine. I, for one, was quite amused to find that an ordinary appam and stew could be paired with an Austrian Gurner Veltliner or German Riesling, Pinot Gris from Alsace or a Rosado from Alvarra, Spain. He suggested reds such as Pinot noir, Cote De Nuits Villages and whites like German Riesling and unoaked Spanish Albarino to go with the traditional succulent Meen Pollichathu. A young, tawny port would tango well with Payasam, according to Goldstein, who recommended German sweet wine or Sauterne to accompany it. The heritage of India is as vast as the size of the country. One of the oldest civilizations in the world, its heritage is rich in customs and traditions; India is a beautifully blended potpourri of so many different cultures coexisting in harmony. With the motto ‘Athithi Devo Bhavah’ meaning the guest is God, you will find the hospitality of India pleasing. The food is an important part of any culture. For many visiting tourists Indian food is full of variety and the taste is simply unforgettable. An equable climate, a long shoreline with serene beaches, tranquil stretches of emerald backwaters, lush hill stations, exotic wildlife, waterfalls, sprawling plantations, paddy fields, enchanting art forms, magic festivals, historic and cultural monuments and the splendid cuisine; what more can a traveler ask for in Kerala, God’s Own Country? Kerala’s culinary tradition is also closely connected to its history, culture and geography, with richness in its vegetarian and non vegetarian fare, be it fish, poultry or meat. As one delves further, the sparkle of Ernakulam emerges. One of the world’s finest natural harbors, Kochi is the commercial capital of Kerala and is known as the ‘Queen of The Arabian Sea’. 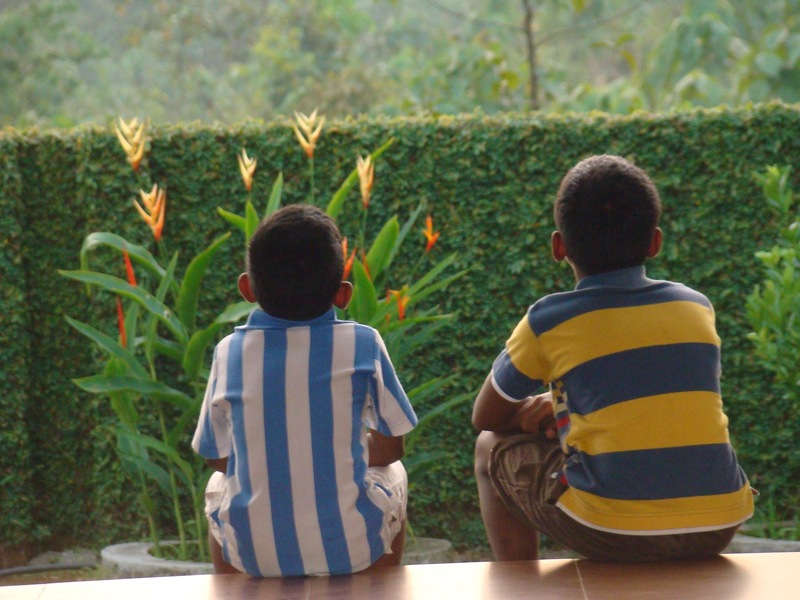 Even today, Ernakulam continues the tradition of welcoming visitors with its customary warmth and hospitality. Kakkanad is the nearest green landscape to Kochi. 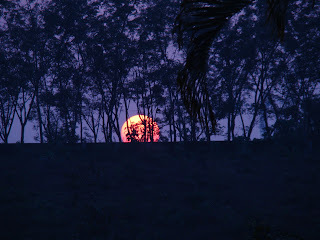 As one travels from Ernakulam to Kakkanad, there are tall trees, valleys and flat pastures. Even though many paddy fields have been converted into residential plots the green landscape is still dominant in Kakkanad. The effect is particularly stunning during the rainy season, with the whole landscape glistening brilliantly green through a coat of water. In this verdant world is situated Pepper Trails, the perfect link of all the elements with taste. Here authentic ethnic cooking is delivered along with novelty, a sense of well-being, food derived pleasure and excitement. What makes our Pepper Trails platter exquisite is the picturesque post card backdrop. It will be with a tinge of nostalgia and a smile that you will remember this pursuit of Kerala cooking with us. This befitting lush ambiance, in the idyllic milieu of a typical Malayali home makes every bite fit for a gourmand’s memoir! 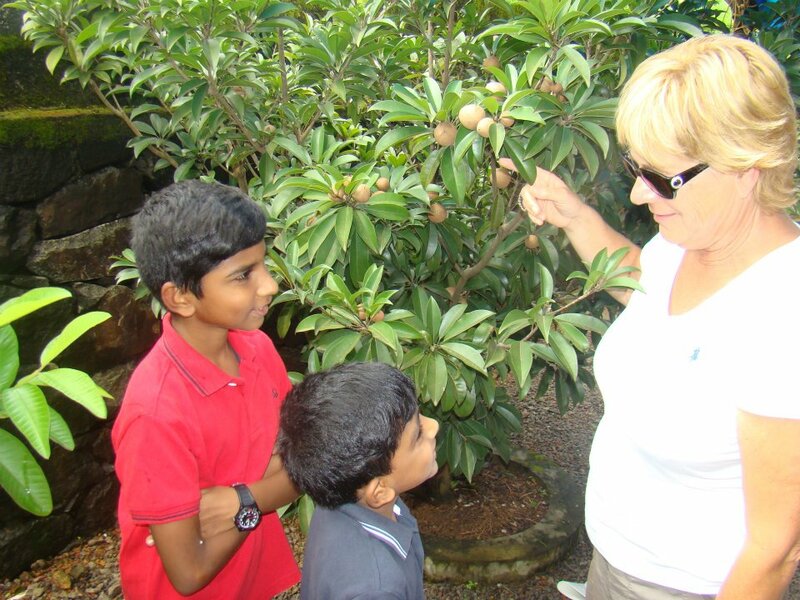 Take a pleasant walk in our garden, where guests are familiarized with the various methods in which organic plants and fruits are cultivated, and eventually find their way into the food, graced with the unparalleled flavors, spices and cooking styles of Kerala. 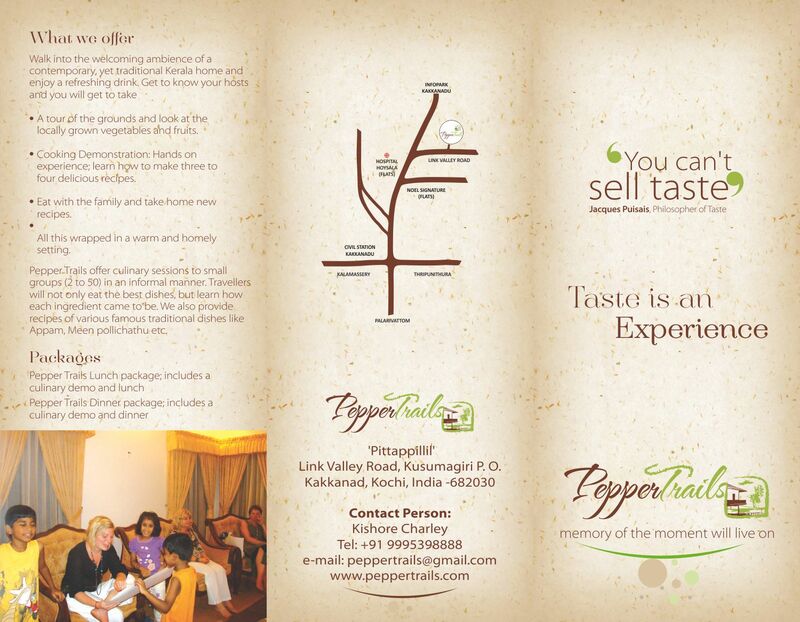 The design for the Pepper Trails brochure was inspired by the evergreen quotes of a gourmet specialist and oenologist. In the words of the famous Philosopher of Taste, Jacques Puisais, one can’t sell taste. That precise moment when a friend’s laughter reaches your ears and you sit down for a hearty homemade dinner at dusk, when that bit of spice touches your taste buds, can’t be reproduced either! When you come to Pepper Trails, you are essentially visiting the haven where the world comes to explore Kerala’s cuisine adventure. Just as a picturesque landscape soothes the eye, soulful music calms the spirit and an ayurvedic massage relaxes the body, Pepper Trails offers ethnic delicacies to tickle your taste buds, in a most memorable ambiance. Appam, a fermented rice pancake, is a specialty of Kerala. It is especially popular among the Christian communities of the state. If you look at its history, the appam is supposed to have been introduced by the Portuguese centuries ago, from Ceylon. Often called 'plain hoppers' in English, the appam can be made with slight variations. Its mild flavors usually gel best with a savory curry seasoned with traditional spices and condiments. It is usually eaten as a starter for lunch, dinner or even as the main dish for breakfast. 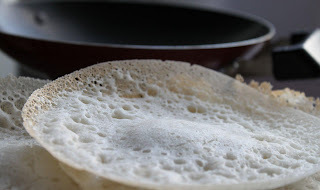 This simple recipe shows how a soft and easy to cook appam can be made. It is often served along with a vegetable stew in coconut sauce. Soak the urad bean and raw rice in water for four hours. Grind the soaked items till the batter becomes smooth and reaches a single cream consistency. Beat half a cup of cooked rice in a blender and mix it into the batter. Also stir in the yeast in half a teaspoon of lukewarm water, as well as 5 teaspoons of sugar. Transfer the batter into a wide mouthed container and keep aside for 6-8 hours, preferably overnight. The next morning the batter will have doubled. Add salt to taste. The batter can be refrigerated for later use. To fry the appams, use a tava or a small bowl-shaped pan which has either been dabbed with oil or which has a non-stick coating. Pour a full spoon of batter into the middle of the tava. Slowly rotate the pan so that a thin layer forms on the sides and the middle remains thick. Cover the pan with a lid and remove the appam with a spatula after 2-3 minutes, when the sides become slightly brown. Serve hot. The grinding can be done in a blender. Make sure that there is enough liquid in the blender so that the mixture swirls and grinds properly. There is nothing more uplifting than hearing a child’s giggle. When weary guests walk into the Pepper Trails home, there are four extremely wonderful hosts who rush to welcome you. Their open grins and incessant chatter bring a smile to one’s face. Isaac Kishore, Charles Kishore, Malavika Rajesh (Malu) and Sudipta John (Pathu) are definitely a merry handful. 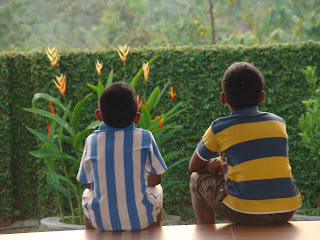 Charles and Isaac are in the sixth and third grades respectively, at Christu Jayanthi Public School, Kakkanad. Malu is a second grader at Gregorian Public School, Maradu. Pathu is a second grader as well and goes to Vidyodaya School, Thevakkal. No party or culinary demonstration is complete without the kids reaching out to grab a bite right from the cooking counter when I’m looking the other way. They are the great explorers of the Pepper Trails lawn; every tree has been climbed and every flower gazed upon in wonder before anyone else gets a peek. With their infectious laughter and animated minds it would be quite an achievement if someone managed to capture all the four looking in the same direction for at least one photograph! For the kids, a live cooking session at Pepper Trails is a chance to make new grown up friends and to show off their amusing oratory skills. Their vivaciousness lends a sense of homeliness and informality to our enterprise. When sitting down for a sumptuous traditional lunch or dinner, the little hosts happily join the table with all the vigor of playtime at school. 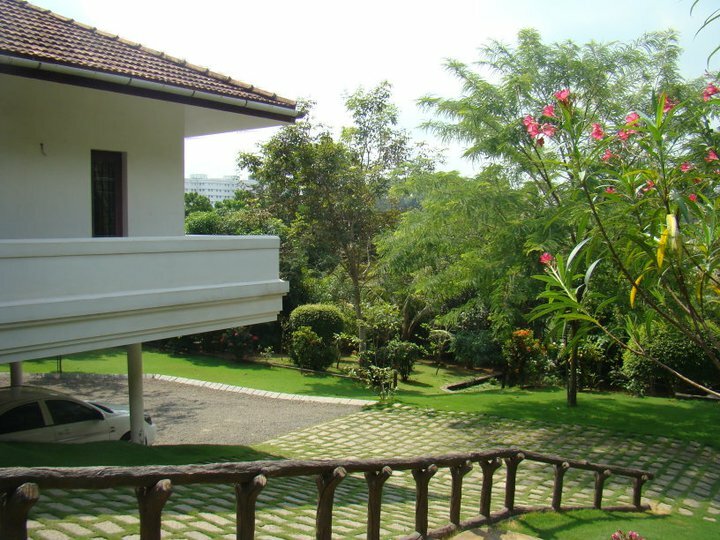 In a particularly jovial mood, they might even take you for a stroll about the kitchen garden and the sprawling grounds. If it hadn’t been for my ever faithful paracletes among family and friends, Pepper Trails would never have happened. Not only did these dear folks egg me on with the idea of showcasing traditional cuisine, each one of them contributed their exquisite knowledge and wisdom to the venture. George Scaria is the Managing Director at Kerala Voyages, (http://www.facebook.com/Keralavoyages) a leading destination management company. He has two decades of experience in inbound tourism. He was responsible for expanding the idea of Pepper Trails and helped us understand how to handle guests from across the globe. By helping devise tour packages with Kerala Voyages groups, he connected us to many guests who were thoroughly entertained by our hosting. Rajesh Gopinathan is the Managing Director of Ergo Consulting Services, (http://www.facebook.com/ergorajesh) a premium event management company in Kerala. His expertise is handy when it comes to organizing the culinary demonstrations that could otherwise turn so easily into unmanaged chaos. His wife, Seema Rajesh is the HR Director at ErgoConsulting Services (http://www.facebook.com/seema.rajesh.12?ref=ts) and helps us conduct the whole session like a proper event, including engaging guests, arranging live music, setting the ambience and a lot more. 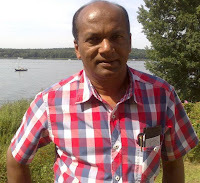 Rajeev Gopinathan is Director at both Ergo Consulting Services and Kerala Voyages (http://www.facebook.com/rajeev.gopinathan). His wife Namitha Rajeev works as Director- CRM at ErgoConsulting Services (http://www.facebook.com/namitha.rajeev). 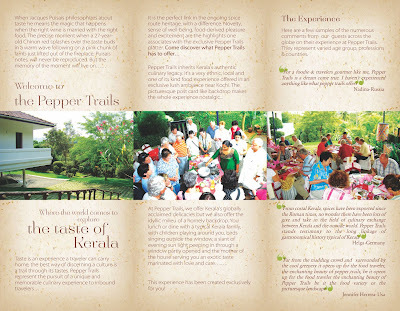 Their gregariousness charms guests who arrive at the Pepper Trails home. They also assist with the live cooking demos and make it a lively experience for everyone. With such amazing friends in tow, playing host is a pleasurable task and our cooking sessions become a fun- filled picnic every single time! My husband, Kishore, has been my biggest supporter all along the way. He’s the reason my brainchild has been translated to reality. 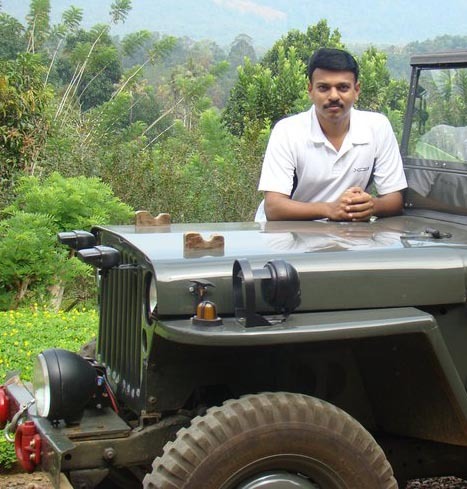 He makes sure that our guests get the most uncompromising experience of authentic Kerala possible. He is a generous host and the main coordinator behind Pepper Trails. He will be the first friendly face to greet guests, never tires of leading them around the garden and engages them in small talk. It is his open welcome and friendliness that lends warmth to Pepper Trails and makes it a “homely” culinary adventure. Kishore is a graduate in Law from The Indian Law Society, Pune along with an MBA in Human Resource Management. His love for nature comes from growing up in Kothamangalam, one of the most verdant places in Kerala. He belongs to the Pittapillil family, an illustrious clan famous for cultivating spice and rubber plantations. They were renowned spice traders since the colonial times and had supplied spices to The East India Company as early as the 18th century. 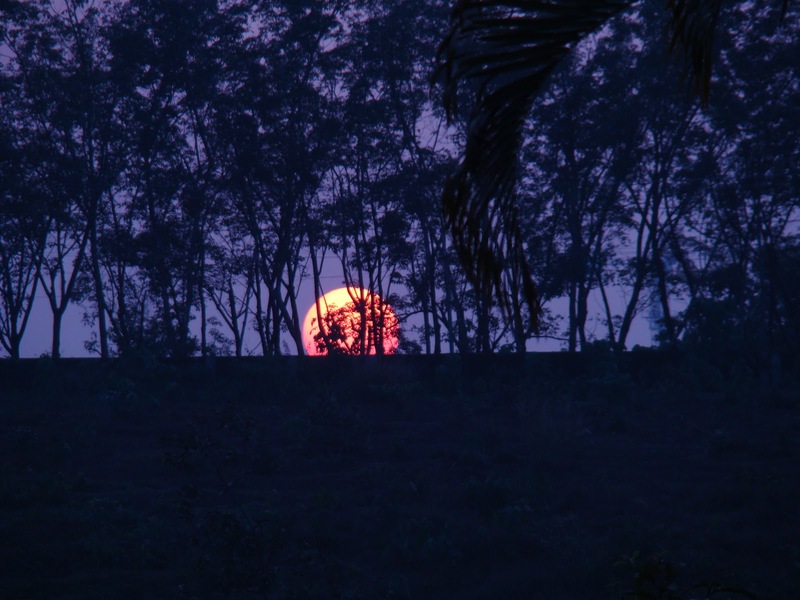 Today, the Pittappillils continue to maintain rubber, coconut, spice, vanilla and pineapple plantations in the foothills of the Western Ghats, the grand mountain ranges considered as the gateway to the Kerala High Ranges, east of Kochi city. It is no wonder that I manage to mingle so well with his family, given their love and care for all things fresh and green! As a latter day scion, my husband brings in his knowledge of nature, love for food and his natural flair for hospitality to the Pepper Trails kitchen. Nowadays he has taken to conceptualizing and developing Pepper Trails farm tourism as well. 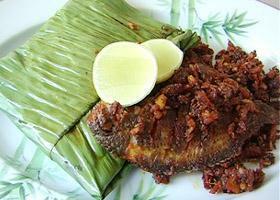 Meen Pollichathu, (Roasted fish in a banana leaf wrap) is a must try local delicacy generally prepared with fresh Karimeen (Pearl Spot) or Seer fish. The anecdote of foreigners mispronouncing "Meen pollichathu" as "meen polli chatthoo" is a popular one- the former translating as "roasted fish" and the latter meaning "the fish burnt to death"! It is one of the most sought after dishes from the traditional cuisine of Central Kerala; the recipe being born in the homes of Malayali Syrian Christians. The fish is marinated to lend it a tangy taste, fried and sauteed in a ground paste of onions, ginger, garlic and tomatoes and later cooked inside a banana leaf. Once the banana leaf is opened one's nostrils are assaulted with the spicy aroma of the fish and the fresh fragrance of curry leaves. Beneath the layer of gravy, the fish will be cooked to perfection and the all the flavors from the various spices and the marinade would have seeped into the flesh, making each melt-in-the-mouth bite a yummy firework! Clean the fish thoroughly and cover with marinade. Keep aside for a few minutes. Shallow fry in coconut oil. Chop all the ingredients for the gravy. Heat two tablespoons of coconut oil in a pan and add all ingredients except tomato. Add the chopped tomatoes once the mixture turns golden brown and cook slightly. Apply this paste on the fried fish. Mildly wilt a fresh and washed banana leaf by keeping it on a low flame, then cover and wrap the fish completely by folding the leaf. Boil the wrapped fish in coconut milk for a few minutes and serve hot.